At Carpet Solutions in Pocatello, we take carpet cleaning seriously. We use only the best equipment and the safest methods to make sure your home is as clean and healthy as possible. 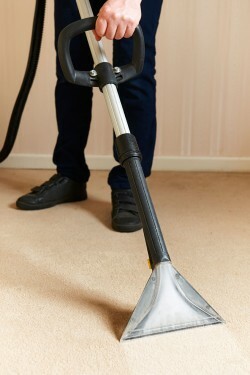 We use a truck mounted steam cleaner to clean your home’s carpet or rugs with a natural cleaning product. Our cleaning system is powered by a 30 horsepower, 3 cylinder engine that produces a powerful vacuum and heat in excess of 230 degrees. Pocatello Carpet Solutions uses safe, yet powerful natural oxygen to get your carpets deep down clean and healthy. Our truck mounted steam cleaning system is not only the most powerful and effective way to clean carpets, it is also the method most carpet manufacturers recommend to clean your home’s carpets and rugs. Instead of using a portable carpet cleaning system that runs up your utility bills, we heat and provide our own water. Plus, all the waste water is routed back to our own holding tank, so none of that dirty water is going down your sink or drain. When your home’s carpets or rugs need a good, deep down clean, call Carpet Solutions in Pocatello. Our carpet cleaning professionals are fast and courteous and use only the best and most effective carpet cleaning techniques. We guarantee that your carpets or rugs will look and feel like new with a minimal interruption to your day.